Groomers have taken pet grooming to a whole new colourful level with dog nail polish! I looked it up online and apparently, this latest fad is geared towards dogs rather than cats. I don't think cats have nails big enough to pull off this stylish new trend as well as dogs but I do think they make for a pretty addition to any dog, female that is. For dog owners who really want to dress up your male dog maybe for Halloween; you can of course opt for a macho, more neutral colour like black or brown. If you think it's expensive to get a bottle of nail polish, you would be mistaken for they're actually really affordable. Grooming Pet Supplies is coincidentally having a sale, with a bottle of Color Paw dog nail polish going for below $5 each. Safe to use for both dogs and cats, this brand does not cost much to get your pets looking pretty! 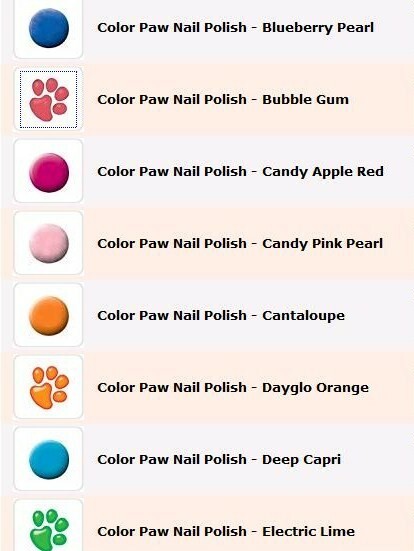 The Color Paw range offers premium quality nail polish, which lasts longer with water and chip resistant features. Using a fast-drying formula, your pets would only need a single-coat of Color Paw Nail Polish to complete his or her makeover. 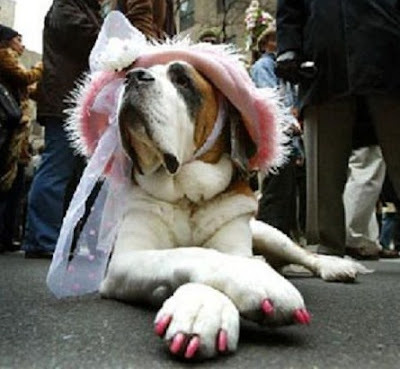 Dog Nail Polish Remover Wipes are also available to help you remove the paint from your pet safely and easily. Check out some of the colours available with more variety to choose from when visiting the site. 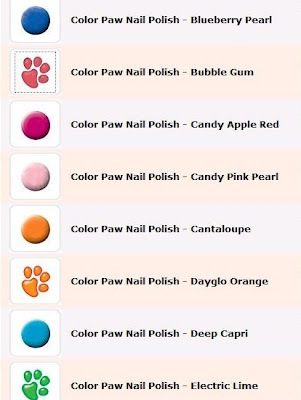 Personally, I like the Bubble Gum nail polish, which I think is purr-fect for Phoebe! However, I know she will never sit still long enough for me to paint her nails so there will be no parading of Phoebe's pretty paws anytime soon I guess! hhah.. aiyooo so vain.. lol!!! but if i got one..maybe ill choose red..lol! hahahahha i like the bubble gum nail polish oso!! oh that dog is so vain!!!! hahahaha. surely so vain la! What pretty toe nails, matches that great hat. That really is funny. Great picture.